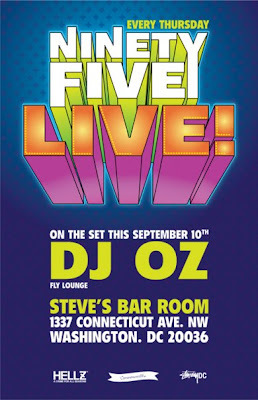 Back on Sept. 9th the boys from Commonwealth gave me the honor of DJing '95 LIVE', their weekly homage to everything 90's! I recorded two hours of my set for your listening pleasure. If the download limit is reached, just download it the next day. I'm not taking it down, so don't worry.. it will be here. Things have been a little rough on this side of town, but I'm getting through it one day at a time! Hopefully I will be able to post more here as well as on twitter @djoz713.